Did you know kids are at greater risk than adults for sports injuries? That’s because they are still growing and developing. Wear protective gear. Ensure your children always have on the proper equipment for their sport before going onto the playing surface. Avoid “overplaying.” Kids should take breaks often during strenuous sports to prevent overuse injuries, like stress fractures to the shins or hips. Warm up. Young athletes should stretch before and after every game. A dedicated warm up period before play will help keep their muscles and tendons flexible. Avoid hot-weather injury. When playing outdoor sports during warmer months, make sure your child stays hydrated by drinking fluids before, during and after a practice, game or match. Kids and teens should take a water break every 20 minutes. Group kids by size. Kids are more likely to be injured in a contact sport if they’re playing with opponents who are twice their size. Encourage your child’s coach or recreational league to group players by size and skill level instead of by age. Don’t rush back after injury. After sustaining an injury, children should get clearance from a health care provider before they begin playing again. 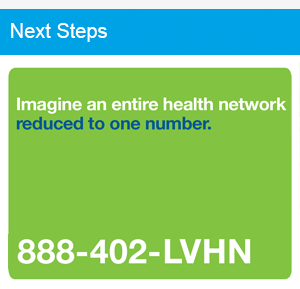 For a free sports injury assessment, visit LVHN.org/sportsmedicine.